In contrast to the more familiar courses set on narrow bendy rivers, Loughborough Boat Club have recently been racing on dead straight, multi-lane venues. 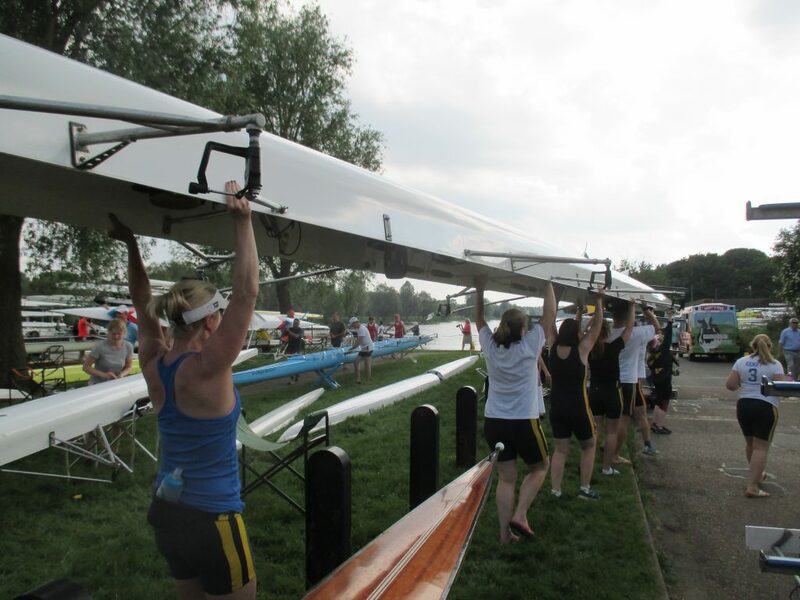 Hannah Ferris represented the Club in the National Schools Regatta held on the 2,000 metre 8-lane Olympic course at Eton’s Dorney Lake. 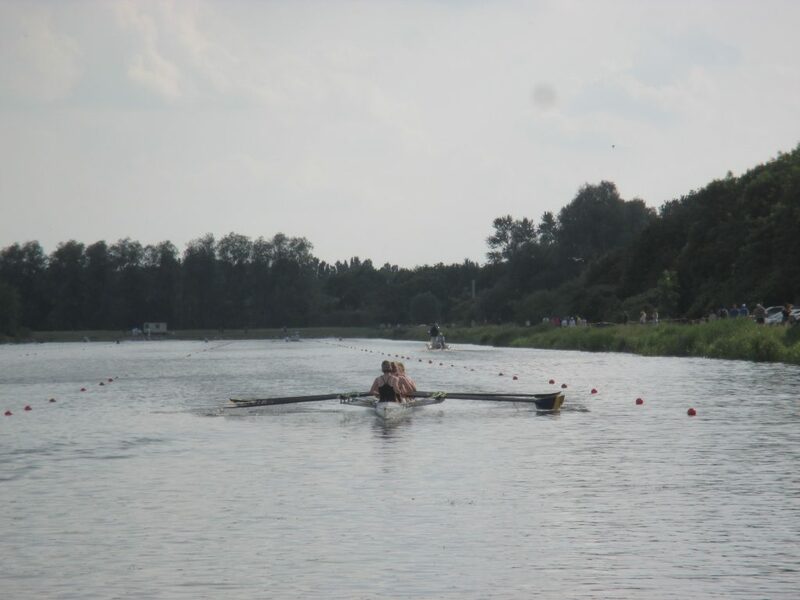 Racing against 39 top level opponents entered from schools nationwide, Hannah fought her way through qualifying rounds of the Championship Girls’ Single Sculls event, earning a place in the ‘D’ final where she finished third in a fast time of 9 minutes 59 seconds. Meanwhile, the following Sunday, Hannah and other Club members raced on the shorter but equally dramatic 1,000 metre 4-lane course at Peterborough, with Hannah bringing home a trophy as a member of a composite Loughborough/Leicester/Boston Coxless Four. 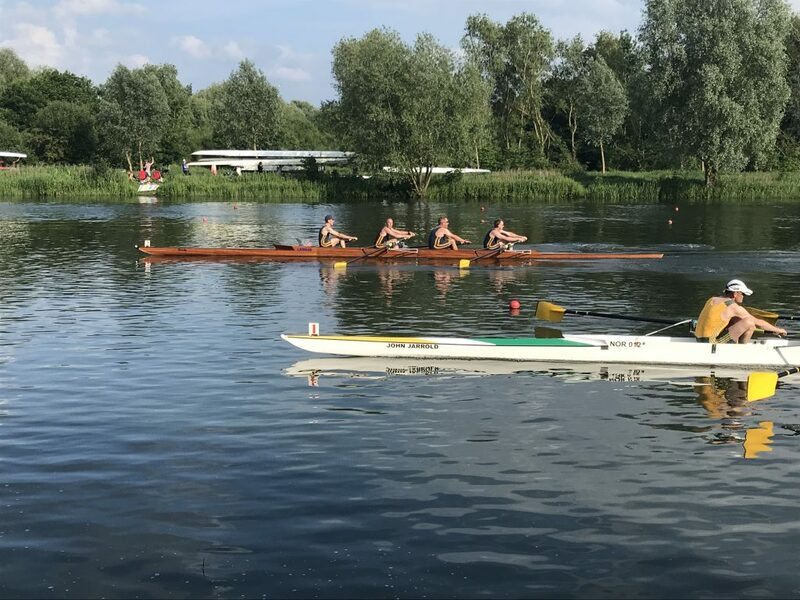 In the Ladies Masters D Eight event, Loughborough Ladies finished second to Peterborough City, the home favourites, but continued their strong development by beating London based Lea RC. Loughborough Captain Keith Hudson crewed up once again with Charlie Henry, Nick Maker, and Jerry Heygate in the Masters D Open Coxless Four and although they could not match the power of a very quick Maidenhead crew, they repeated their success of last year against Norwich, holding off a late challenge with only a few feet between the boats at the finish.